Porcelain veneers represent a milestone in the technologically exciting field of cosmetic dentistry. Veneers close gaps, correct alignment and discolouration without the need for expensive or painful dental surgery. Made from material that possesses that same shiny translucent quality of teeth enamel, porcelain veneers mimic the shape, size and look of your natural teeth right down to the last detail. In the hands of an experienced cosmetic dentist, dental veneers deliver a brand new smile that looks both radiant and natural. The veneers we use in our Morely dental clinic are made from porcelain which is an incredibly strong material. Porcelain veneers can be colour matched to the exact shade of your natural teeth, and has the same translucent properties of your natural tooth enamel- creating a beautifully seamless result. Even within close proximity, your veneered teeth will look as natural as your own. Porcelain and enamel share very similar external characteristics. They even reflect and react to light the same way, making them virtually impossible to tell apart. The great thing about veneers is that they can be used to strengthen teeth that have been weakened from decay, disease or trauma. Veneers not only give your teeth that beautiful varnished look, they offer an added layer of protection to guard against external knocks and abrasion. Porcelain veneers also have a stain resistant surface, so you can enjoy your beautiful white smile for years to come. Stain-causing substances find it tough to cling onto the extremely smooth surface of porcelain veneers and slide off your teeth without leaving a mark. Porcelain veneers may be easily shaped to totally cover the front part of your teeth and hide your dental flaws. They offer a lot of flexibility when it comes to beautifying your teeth. 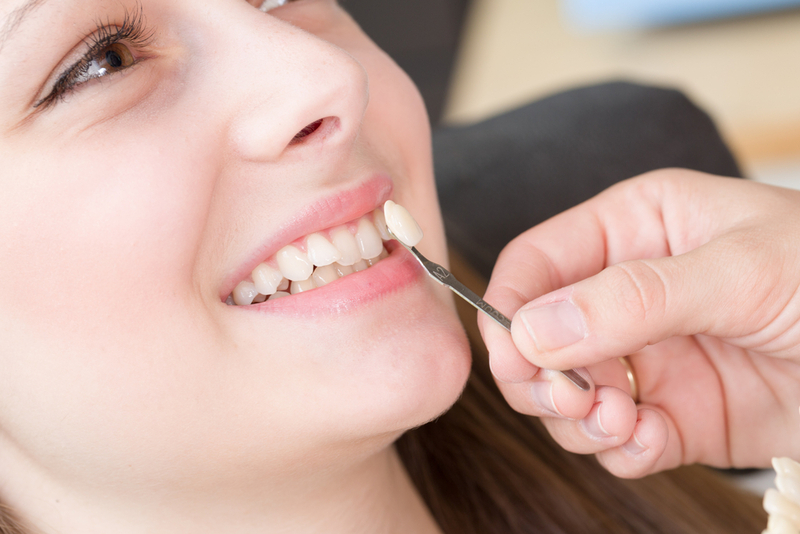 Dental veneers are designed to hide the minor imperfections of your teeth. Whether your teeth are cracked or crooked, gappy or discoloured, these thin ceramic laminates dramatically enhance their appearance – and even correct some minor flaws. They are also used to lengthen short-looking teeth to give the appearance of a ‘normal’ length. When considering porcelain veneers, more than one consultation with the dentist may be required. The first consultation or two will involve discussing how you want your tooth/teeth to appear and your dentist will establish if your teeth satisfy the requirements to support a porcelain veneer. This may involve X-Rays of your teeth and gums. Have good periodontal and oral health. Have specific cosmetic goals, which they can articulate to their dentists at their initial consultations, as well as realistic expectations. Have a sufficient amount of healthy enamel, a thin layer of enamel is usually removed before placing veneers. To find out if you are a suitable candidate for cosmetic dental veneers, contact our friendly front desk team and book in for a consultation.